Commercial skin care products are expensive and contain many harmful chemicals that we don’t want our bodies to absorb. If you want to know more about the safety of your skin care products you can check out Environmental Working Group’s Skin Deep database. It has a comprehensive list of potential toxins found in over 68,000 personal care products. More people are now becoming aware of the harmful effects of commercial skin care products. There is a shift to more natural and chemical free skin care products. The good news is, you don’t have to spend that much for excellent skin care. Tracey Black of Don’t Mess with Mama shares with us homemade skin care recipes that are easy to do. This DIY Face Wash will only cost you $2 to make using all natural ingredients that you can find in your kitchen. You can use it for all skin types and nourishes our skin. Facial cleansers bought from the department store cost $30 for a 6-ounce bottle. It would last for 1 to 2 months and usually included a regimen of CTM or cleanser, toner, and moisturizer. Spending for this trio would bump your cost to $100 a month for facial skin care alone. DIY skin care is heaven sent; you can make your own high-quality products at very affordable prices using all natural ingredients. Add 2 to 3 pumps of DIY Face Wash to your palm and massage onto your face. Massage for about a minute. Honey can be enjoyed with your morning cup of tea, or as a reliever for a cough or a sore throat. It can also be used for natural skin care. Raw honey contains a ton of antioxidants that help fight wrinkles and aging skin. Cleopatra was so fond of honey that she used it for her beauty regimen. Honey is a natural antibacterial which helps fight and prevent acne, unclogs pores and moisturizes skin. Mix one tbsp of raw honey with 2 to 3 drops of Lavender essential oil. Apply to your face and let it stay for 15 to 20 minutes. Use a warm washcloth to wipe off. 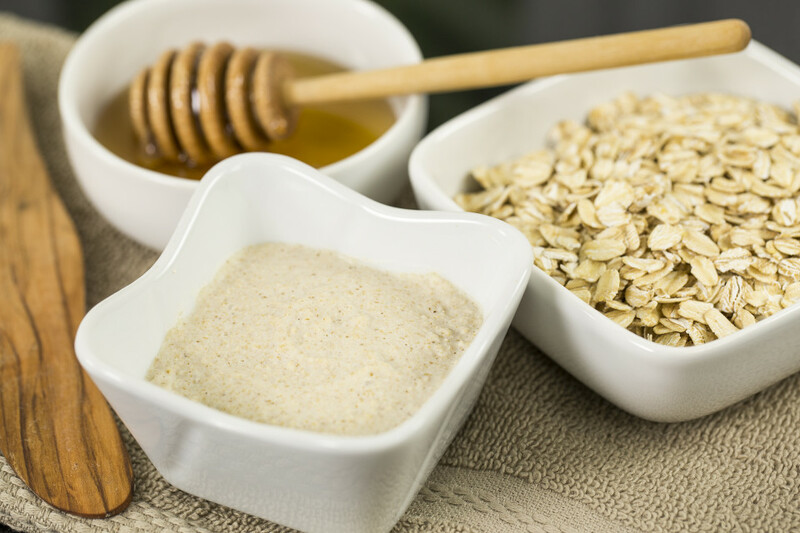 Mix one tbsp of raw honey and 1 tbsp of uncooked oatmeal. Some prefer to grind to a powder for a gentler exfoliation. Apply to face for 15 to 20 minutes. Use a warm washcloth to wipe off. Most facial toners contain harsh ingredients like alcohol, salicylic acid and some fragrances, additives, and colors. They were supposed to work, but most users end up with redness, dryness, and inflammation. Apple Cider Vinegar is a great facial toner which is more effective and way cheaper. ACV will cost you around $5 for a 32-ounce bottle compared to high-end toners that are on the market. Even if ACV is acidic, it helps to regulate pH levels of the skin. It can be a base as a toner for all skin types. It treats acne and reduces redness. It helps exfoliate skin and reduce wrinkles. Lavender or Frankincense oils(add 5 to 10 drops per 2 ounces of toner mixture). drops of lavender or frankincense oil per 2 ounces of toner mixture. Use toner 2 times a day, when you wake up and before bedtime.